Spanish Police have recently announced that they impounded three helicopters in the last year which they believe have been used in drug smuggling operations between Morocco and Spain – photos of two of these are shown below. They believe they have broken two criminal organisations, and arrested a total of 15 and seized 810kg of hash, 4 vehicles, night vision equipment, fuel bowsers and at least two rented farms where the gangs hid helicopters and unloaded their cargo. The Police started this investigation with the seizure of the wreck of an R44 which crashed near Malaga in May 2014 killing the pilot, after it flew into power cables. Another helicopter “much faster and with greater capacity” operated by the same group was seized in October 2014. A further two helicopters were seized in December 2014 along with their four occupants and a quantity of hash in each. Swiss newspaper Blick reports one of the arrested people is 68 year old French-born pilot “Jacques L” from the Swiss town of Birsfelden, and his 46 year old Swiss born co-pilot “Johannes D”. Both are currently on remand in a Spanish jail after being caught with a cargo of 600kg of hash in Squirrel HB-ZFA. “Jacques L” apparently used to fly for Rega Swiss Air Ambulance and Air Zermatt. The AS350B is registered to Airport Helicopter, and had been leased to “Jacques L” for a period of three months, purportedly for a contract to transport a Dutch family between Malaga and Marbella. Airport Helicopter owner Hans Rudolf Müller confirmed to Blick that it was released a month and a half ago and has been transported to Switzerland by road in a poor state, and may never fly again. “Jacques L” has also been linked (by Tages Anzeiger) to the fatal crash of the R44 in May 2014 noted above. 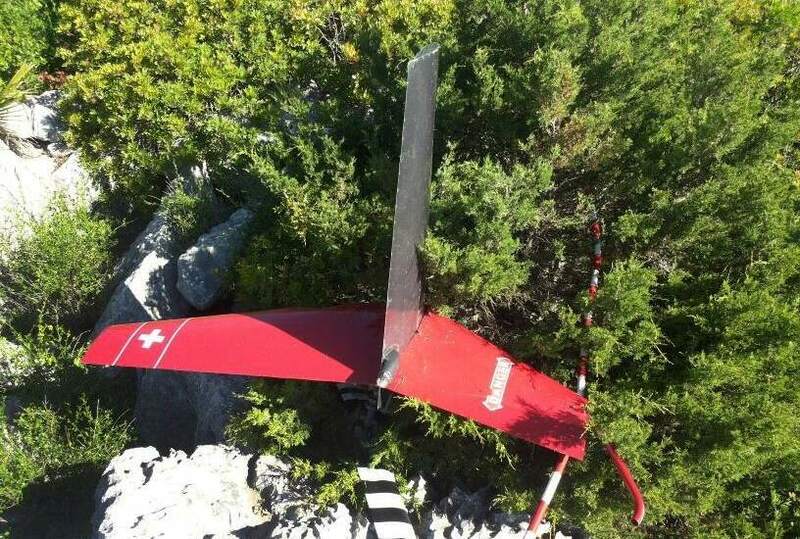 When the HeliHub team filed the accident data page we were unable to identify precisely which R44 this was, although a photo from 20minutos.es website showed the broken off tail of the R44 with the vertical surfaces in red with the Swiss flag (a legal requirement for Swiss registered helicopters) and the horizontal stabilizer in dark grey or black. We nominated four R44s at the time which were possible identification, and have added a fifth to the list today after further research.